An exclusive 10-week digital series, SOUTHERN HALO, will launch today across Radio Disney Country digital platforms. 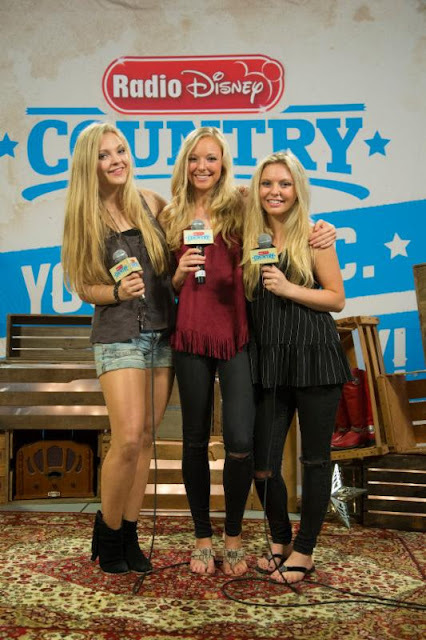 Fans of the cutting-edge Country sibling trio Southern Halo will be able to view Episode 1 today on the Radio Disney app, RadioDisneyCountry.com, YouTube, Twitter and Facebook pages. A new episode will be available every Monday at 12 noon PDT. Phil Guerini, Vice President, Music Strategy, Disney Channels Worldwide and General Manager, Radio Disney Networks said, "Having been early supporters of their music, we're excited for our audiences to get to know this talented group even better and are glad to have them as part of the Radio Disney Country family." The series was produced by Nashville's Artist Integration. "SOUTHERN HALO is sort of like a back-stage pass to our lives," notes the group's spokesperson, Natalia. "Episode 1 covers everything surrounding a radio promo trip to Nashville we made in support of our debut single, 'Little White Dress.' It includes everything from discussions on what to pack, to hair and makeup, the travel, clips of interviews we did with various media outlets, and even our appearance at the Radio Disney Country Stage at CMA Fest Fan Fair X. The whole series is an in-depth look at who we are as individuals, sisters, musicians and music fans." With their newest single, "Rewind," currently rising on the MusicRow CountryBreakout™ Chart (#64) and a well-received debut performance at CMA Music Festival last month, Southern Halo is bringing a new energy - and a new sound to Country.